Correspondence courses leaflet was attached when I tried to buy magazine in a book store. The courses were all about specialties and qualifications. 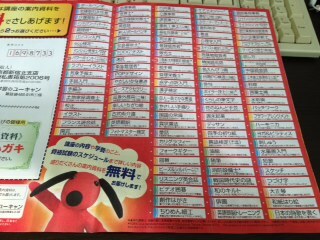 In Japan, there are so many distance leaning courses that you might not even heard of some of the names before. Is this the same in your country? I counted. This company has a total of 114 courses for one to choose from. 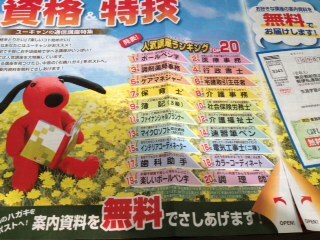 Ranking on top 20 popular courses were consolidated. And don’t be surprised that top in the ranking is the “handwriting” course. So maybe a lot of Japanese yearn to have nice handwriting (?+_+)! ?